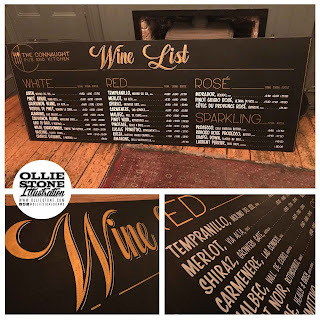 Hand-painted wine list chalkboard for The Connaught, Hove. 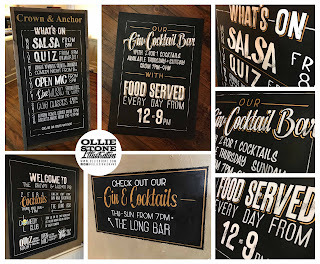 Hand-painted signage for The Crown & Anchor, Shoreham. 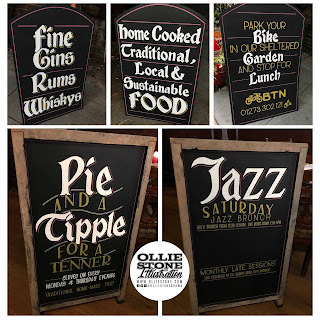 Hand-painted signage for the Good Companions, Brighton. 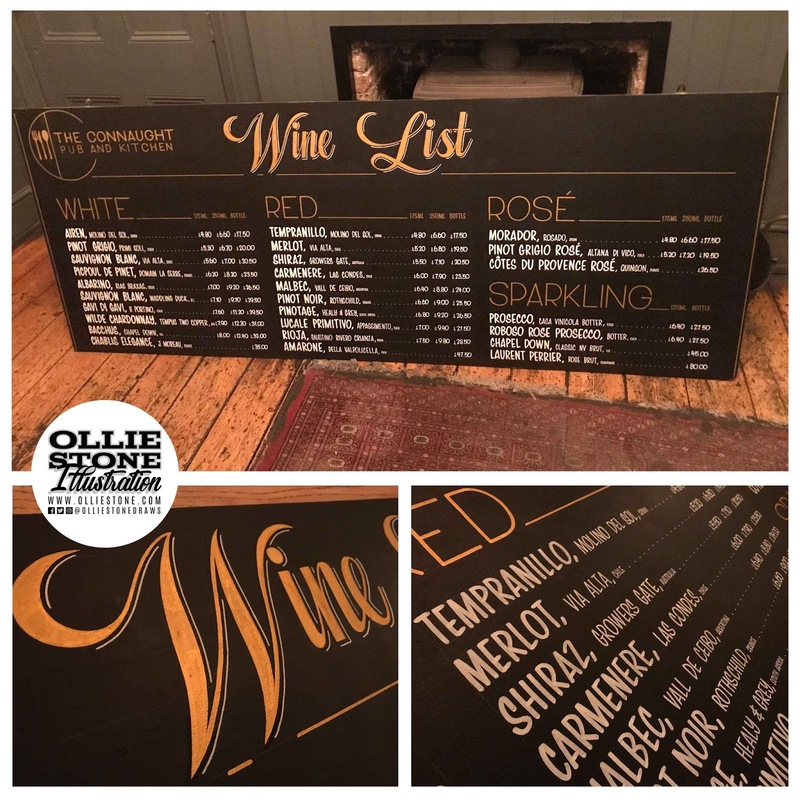 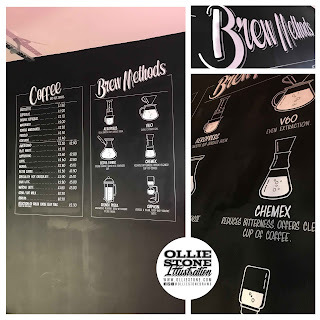 Hand-painted wall menu for Heart Coffee, Lewes. 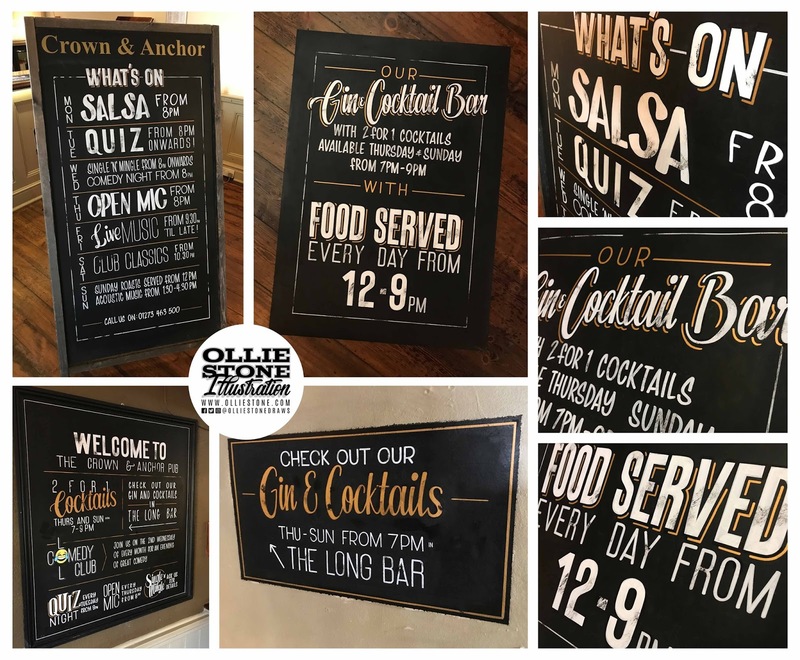 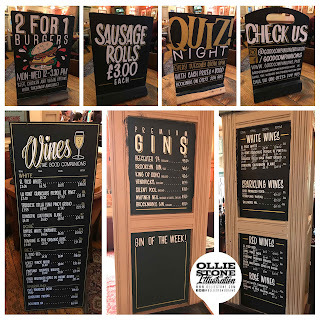 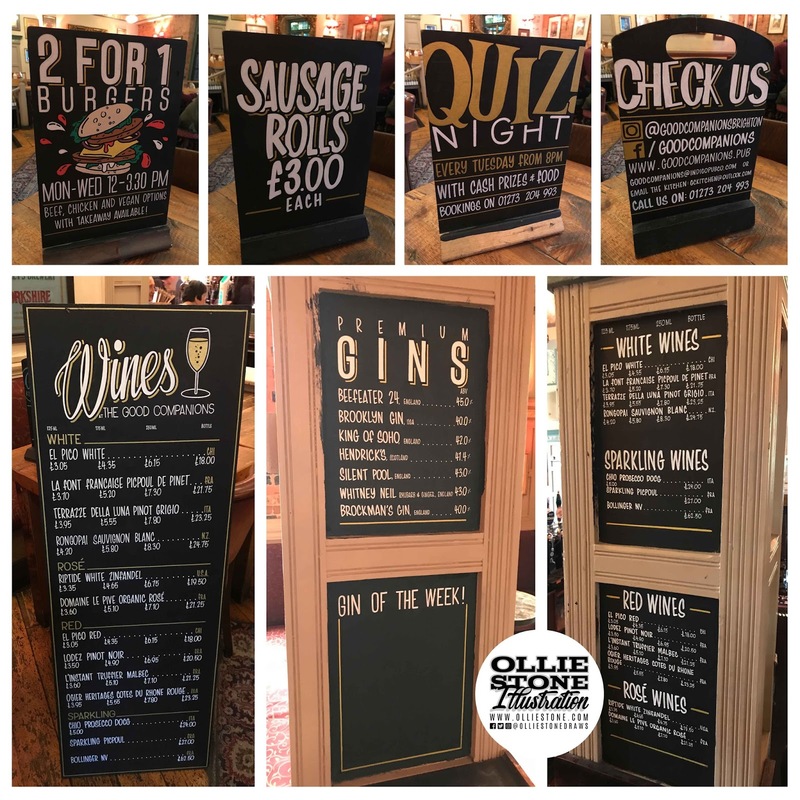 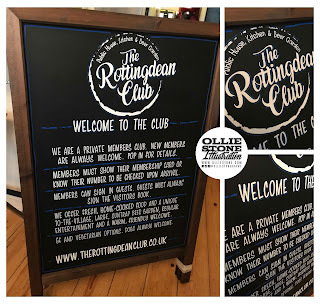 Hand-painted signage for The Queen Victoria, Rottingdean. 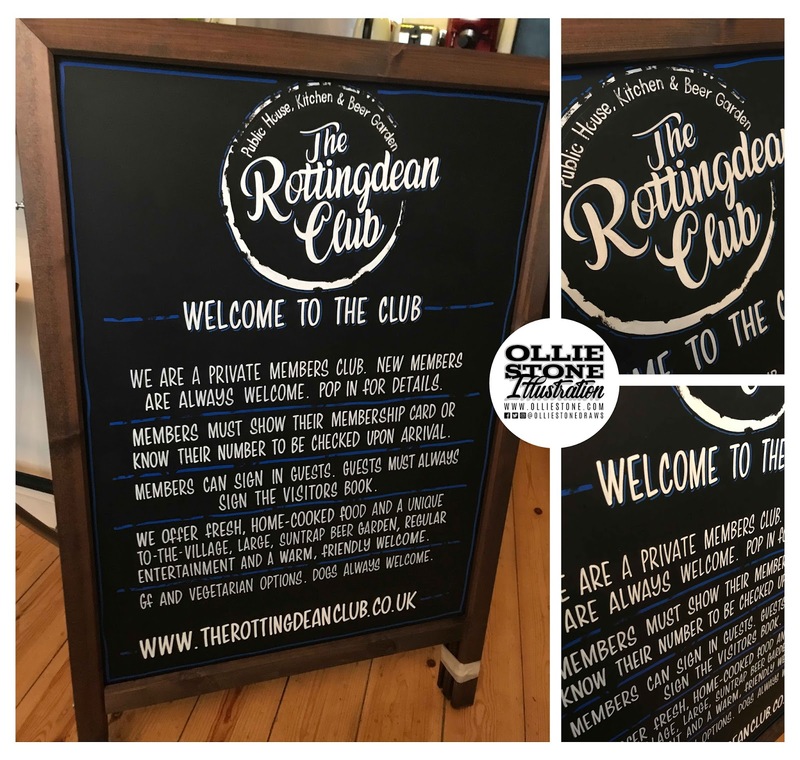 Hand-painted signage for The Rottingdean Club, Rottingdean. 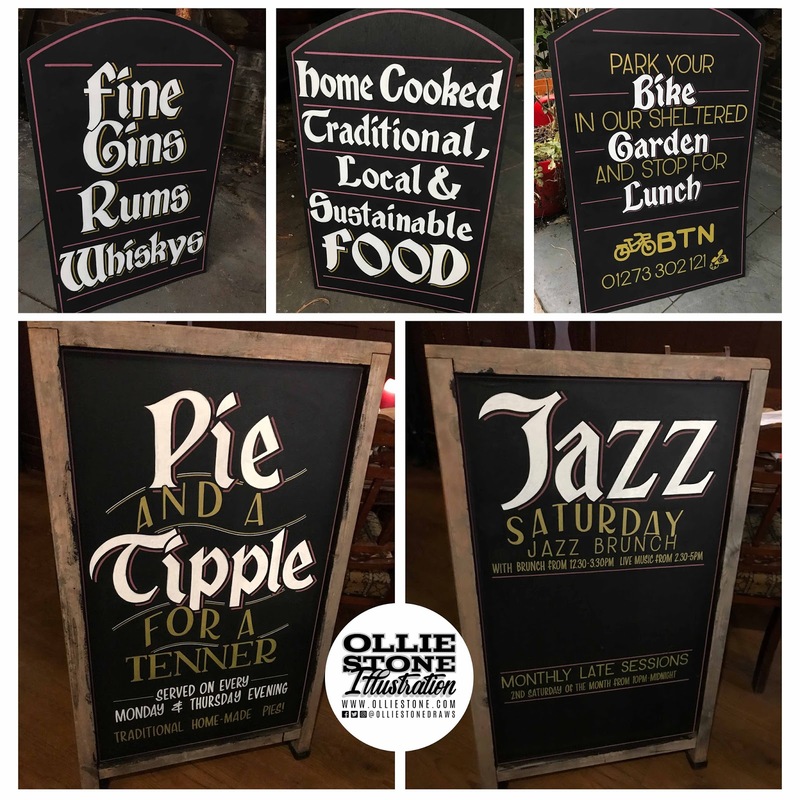 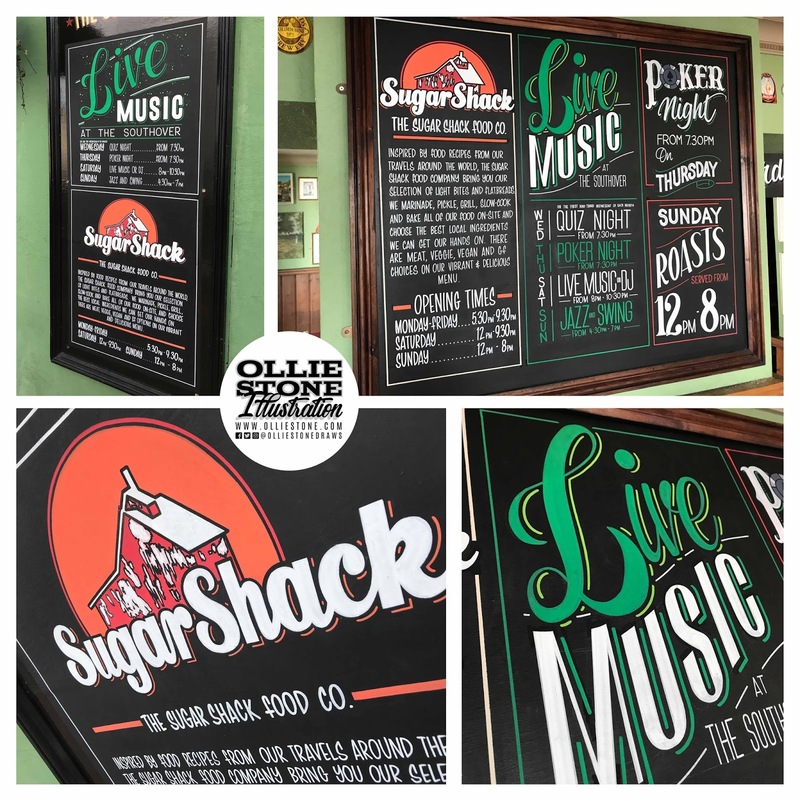 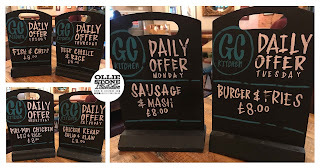 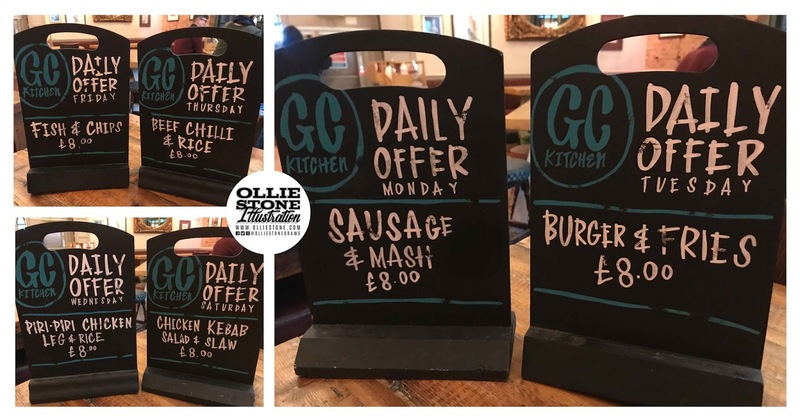 Hand-painted signage for The Southover, Brighton.